Born in 1967, married and with 3 kids, living between Verona and Torino. With a Master Degree in Management Engineering, he has worked for more than 25 years in USA, Spain, China and Italy within small and medium size companies, family owned or part of multinational groups. He speaks English, Spanish and Italian. He is an expert in company turnaround and developments through marketing repositioning, reorganization, cost optimization and lean business process reengineering, using always a pragmatic strategic entrepreneurial approach. After his University studies at “Politecnico di Milano”, he worked till 2000 for Montedison in different companies of the Group like Ferruzzi (commodities trading), Nikols (Insurance), Antibioticos (pharmaceutical API), in Italy and China. Afterwards, he worked in AT Kearney for 3 years as management consultant on different projects for the Operation and Automotive practices in Italy and USA. In 2003 he is part of the Organising Committee for the Torino 2006 Olympic Games as Executive Director for the broadcasting production. From 2006 till 2011, he is in United States to manage the industrial and commercial turnaround of the American leader (Deroma) of plant and decorative pot industry in the Retail and Wholesale channels. At the end of 2011, he moves to Spain to manage a complex turnaround of a pharmaceutical and biotechnological company. 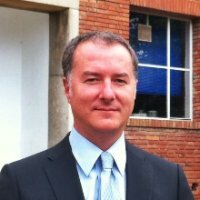 In 2014, he becomes the General Manager of Bormioli Rocco Spain, the Spanish production branch of one of the world leader in the glass industry. In 2016, he comes back to Italy to manage the turnaround of the Italian Branch of WMF Group, German group leader in the cookware/tableware industry.